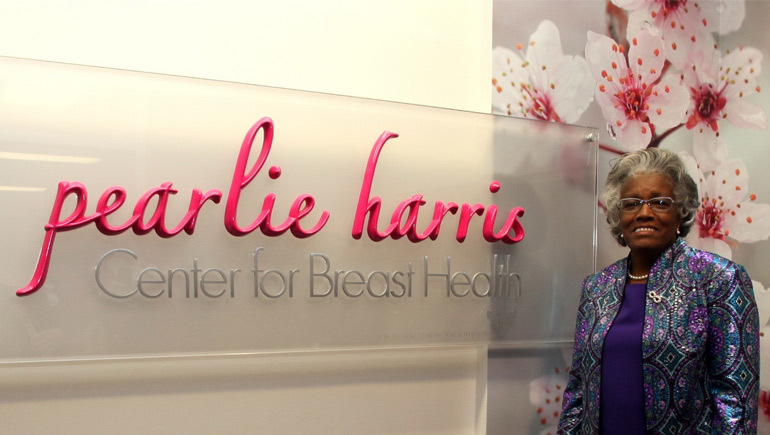 On October 21, 2011 St. Francis proudly unveiled its newest ministry for women--the Pearlie Harris Center for Breast Health. This state-of-the-art center brings advanced breast imaging technology and an expert staff that offers compassionate, convenient care and rapid results together in one comfortable, calming setting. Our new facility was created from the ground up with our patients in mind. Our Breast Health Center is also fully accredited by the National Accreditation Program for Breast Centers (NAPBC) and has additional accreditations from the American College of Radiologists. But even before the paint dried on this beautiful new center, plans were being made to do even more for women in the Upstate. Phase 2 of the Breast Health expansion will multiply our ministry opportunities exponentially. With a third digital mammography unit we will be able to increase our screening volumes—which grew 104% from 2007 to 2010—meeting a vital need. This new upright stereo unit offers the possibility of 3D breast imaging. Phase 2 also includes a second ultrasound unit, an MRI sentinel table for breast biopsy, and a PACS monitor work station for our radiologists. Most exciting of all, however, is the opportunity we have to address the #1 barrier to women's breast health: access to screening. Phase 2 supported a powerful mission focus through the Mobile Outreach Mammography Unit (MOM). Unveiled September 28, 2012, this mobile unit meets a clear need for at-risk populations. Our vision is to bring critically important breast health screenings to the uninsured, underinsured, churches, community centers and workplace health fairs. Traveling throughout the Upstate, the MOM unit proactively engages underserved women with vital services such as mammography screenings and education on breast self-exams. 85% of the unit's care is intended to reach these at-risk populations, and 40% will be dedicated to charity care. Through this mobile ministry, we can reach women who cannot come to us, women who need the compassion of a healing ministry.